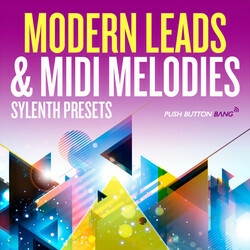 Push Button Bang has launched Modern Leads & MIDI Melodies, a collection of MIDI files and presets for the Sylenth1 software synthesizer from Lennar Digital. The onus is on creating colourful, vibrant sounds and simple catchy melodies similar to artists such as Hardwell, W&W, Krewella, Avicci and David Guetta. The Sylenth presets supply a wide array of modern production elements, perfect for current main room and radio friendly EDM. As well as all sorts of wide, thick and characterful leads you will find upfront hard hitting bass, rich evolving pads , pulsing, rhythmic sequences and a selection of helpful fx touches. Plus, every patch has been programmed with its own individual arpeggiator settings, giving each sound two ready made starting points, as a foreground sound or a rhythmic backdrop! The midi files provide a massive variety of polyphonic melodic chord hooks, chorus ideas and ready made breakdown starting points to get your production sounding tight in seconds! The chord sequences used will fit into any current EDM production and immediately offer original melodic ideas to make your track shine and stand out! As ever, all files have been named accurately in sequence with the corresponding original root note in the file name. 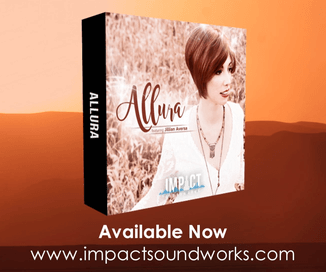 The sound pack is available to purchase for £14.95 GBP. Sylenth1 presets and MIDI files are also sold separately.